Continuing the runaway success of Lotus’ return to North America, the legendary British Sportscar maker has unveiled a unique Evora Sport 410 in one of the company’s most famous liveries, as order books open for the sensational sports car in the US and Canada. Available in the new GP Edition colour scheme, as well as Lotus’ standard array of paint options, the new Lotus Evora Sport 410 for North America is the lightest and most focused iteration of the Evora, and joins the benchmark Evora 400 in the company’s line-up as a fully type approved model. 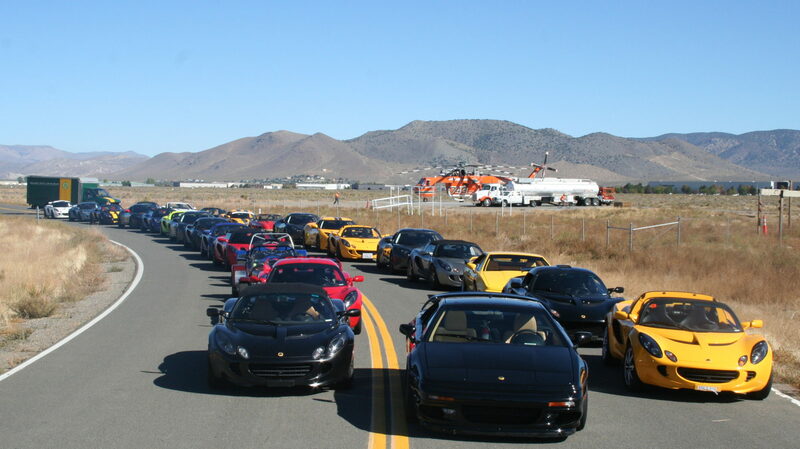 It is also the fastest road-going Lotus ever sold in the US, clocking 0-60 mph in 3.9 secs and a top speed of 190 mph. 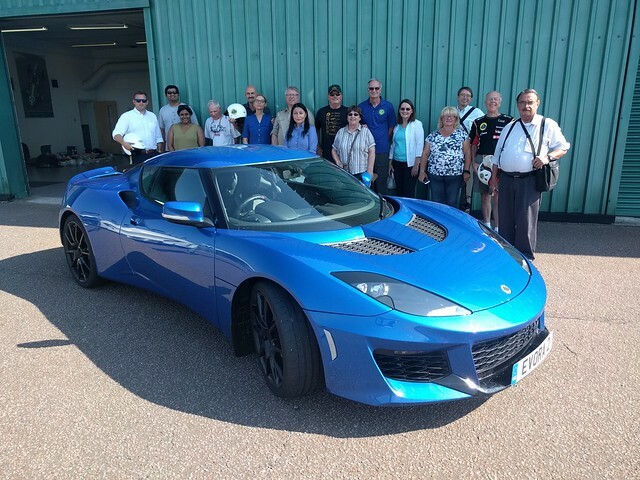 A literal translation of Lotus’ simplify then add lightness manifesto, this new 2017 MY Federal version has undergone considerable development to meet the specific demands of the North American market, and minimising mass has remained a priority. 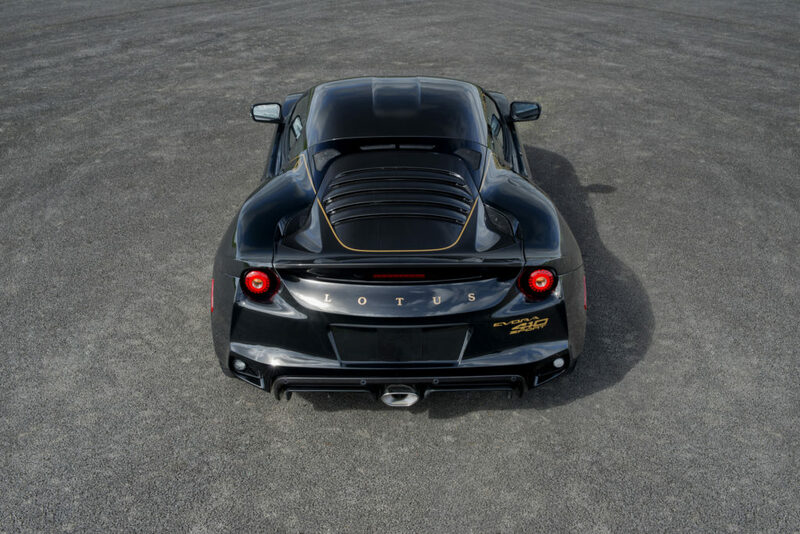 Lotus’ famous Lightweight Laboratory has revisited every aspect of the car, to find new weight savings and, as a result, the Lotus Evora Sport 410 is a substantial 132 lbs (60 kg) lighter than the already impressive Evora 400 for North America. The new, hand-made, top-of-the-range model builds on the company’s considerable reputation, and follows the launch of the Evora 400 in the world’s largest sports car market last year. Upsetting the established order, the Evora 400 was lauded as one of the great sports cars of a generation and, it went on to seize silver in Road & Track’s celebrated 2017 Performance Car of the Year assessment. Tracing its lineage back to Colin Chapman’s founding beliefs, the formidable Lotus Evora Sport 410 is a study in pure, lightweight engineering and true to the company’s DNA. 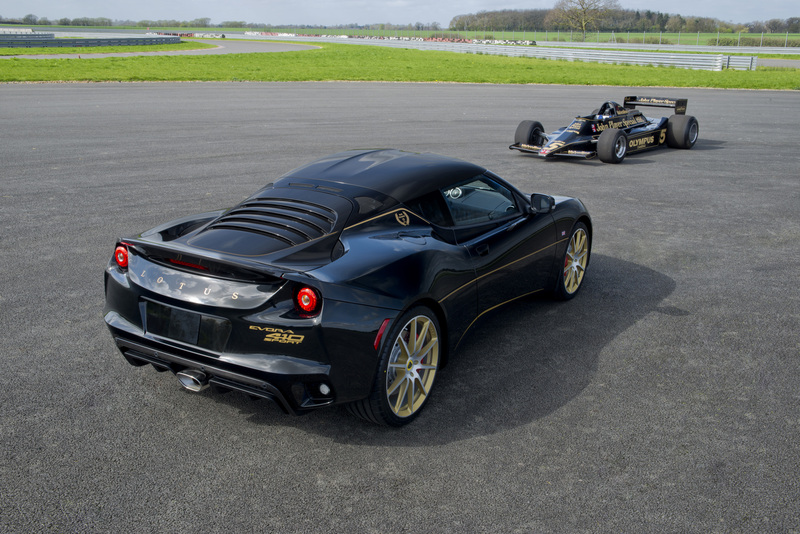 The Federal Evora Sport 410 is the latest Lotus to undergo the company’s extensive development programme. Designed to be compliant with all regional emissions and safety considerations, it retains the same chassis configuration as European models and is engineered to ensure that none of the car’s inherent finesse is lost in translation. Tipping the scales at just 3,020 lbs (1,370 kg), or 2,910 lbs (1,320 kg) with no fuel and lightweight options selected, the Evora Sport 410 for North America has set the benchmark through thorough attention to detail. Employing the latest generation of Lotus’ famous aluminium architecture, which provides high torsional rigidity at a reduced weight, the new Lotus receives a comprehensive array of carbon-fibre components as standard. Covering the car front to back, they include the front splitter, revised front access panel, roof section, tailgate, rear quarter panels, and rear diffuser – all hand-made specifically for the car. In addition to boosting performance, reducing the car’s kerb weight has also lowered its centre of gravity – delivering gains in ride and handling. Less mass has allowed the recalibration of the suspension and a revised chassis setup, including improved wheel geometry and re-valved dampers. This has provided an increase in compression and rebound, while the effective rise in spring rate and a reduction in ride height by 5 mm provide better body and roll control. The result is sharper and more direct handling, providing the driver with a more intuitive feel, while primary and secondary ride remain impressive at any speed. The mass adoption of carbon has not only focused on the technical, saving 31.5 lbs (14.3 kg), but also the aesthetic. Endowing the car with considerable visual drama, the new composite components provide a high level of engineered detail. The most striking is the louvered, one-piece carbon tailgate which, together with carbon rear quarter panels, help provide the car with a sleeker, fastback profile. Significant time was allocated to developing the car’s aerodynamic performance. The design of the new carbon components, and the careful working and channeling of air over and under the sculptured bodywork, has resulted in a slightly lower drag coefficient and the generation up to 141 lbs (64 kg) in aerodynamic downforce – double that of the Evora 400. This in turn improves high-speed stability, delivering confidence to the driver as the Evora Sport 410 remains tractable at all speeds. In addition to the extensive application of carbon fibre, which has saved 31.5 lbs (14.3 kg), further headline weight reductions include the introduction of a lithium-ion battery -23.8 lbs (-10.8 kg), ultra-lightweight forged wheels -15.9 lbs (-7.2 kg), and a host of incremental improvements such as a new lightweight windscreen surround -7.5 lbs (-3.4 kg); all of which contribute towards the massive 132 lbs (60 kg) overall weight reduction. Utilising an integrated water-to-air charge cooler, the Evora Sport 410 is powered by a supercharged, 3.5-litre 6-cylinder engine, producing 400 hp at 7000 rpm and 301 lbft (410 Nm) of torque at 3500 rpm. The Evora Sport 410 comes as standard with a six-speed manual gearbox, which features a low-inertia flywheel for rapid shifts, while a Torsen-type limited slip differential (LSD) provides greater traction, and faster exit speeds when cornering. The optional six-speed automatic transmission with dedicated ECU for ultra-fast changes allows sequential gear selection via lightweight aluminium paddles mounted to the steering wheel. The Lotus Evora Sport 410 features user selectable ESP driving modes – Drive / Sport / Race / Off. Proportionally increasing throttle response, lowering traction thresholds and removing understeer recognition, it allows progressive degrees of driver control before the system intervenes. The selectable ESP driving modes also utilise an engine exhaust bypass valve at mid-to-high engine speeds, increasing throttle response in both ‘Sport’ and ‘Race’ settings. This is enhanced by the optional, high-flow titanium exhaust silencer, saving a further 22 lbs (10 kg) in weight. With such a large performance envelope, the Evora Sport 410 is equipped with bespoke, ultra-lightweight wheels, saving 15.9 lbs (7.2 kg), and Michelin Pilot Sport 4S tyres. The 10-spoke forged aluminium wheels cut un-sprung weight and have been produced specifically to work with the Sport 410, and Michelin Pilot Sport Cup 2 tyres are available as a dealer fit option. The Evora Sport 410’s cabin has received the same attention to detail referencing the marque’s heritage, and subtle design cues include optional colour coded interior components. The Sport’s seats are trimmed with Alcantara® as standard, along with the steering wheel, lower dashboard, transmission tunnel and centre console. An integrated touch-screen entertainment system can also be specified, including iPod® connectivity and Bluetooth® functionality. Developed by Lotus Exclusive, the bespoke Evora Sport 410 GP Edition has been created in honour of Team Lotus’ iconic F1 colour scheme raced between 1972 and 1986. From the famous Lotus 72 though to the beautiful Lotus 79 and the blisteringly fast Lotus 98T – some of the greatest drivers have competed in the famous black and gold. Lotus F1 cars wearing the iconic livery won five Drivers’ and Constructors’ championships and 35 Grand Prix, driven by some of the greatest drivers in F1 history, including Emerson Fittipaldi, Ronnie Peterson, Mario Andretti, Nigel Mansell and Ayrton Senna. 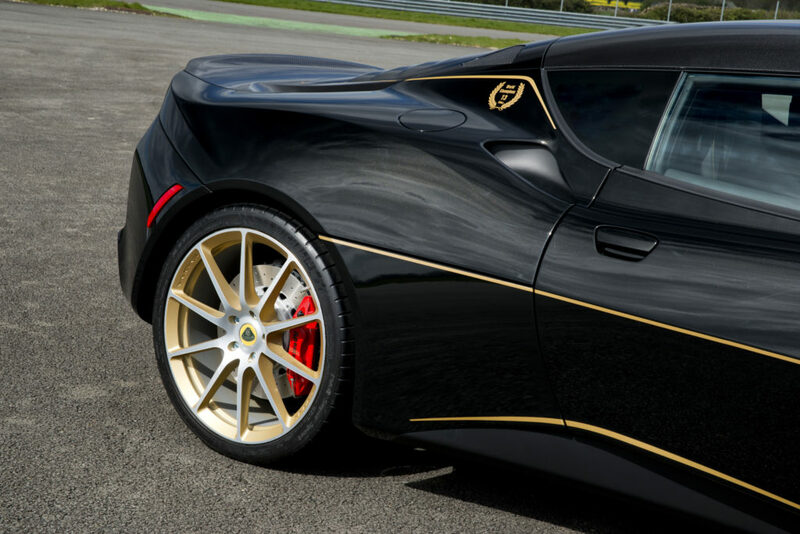 The Evora Sport 410 GP Edition will be limited to an exclusive run of five vehicles and has been designed to illustrate what can be achieved through the Lotus Exclusive programme. Over 400 dedicated team members hand build every Lotus at the company’s headquarters in Hethel, its home for the last 50 years. The Lotus Exclusive programme, combining traditional British craftsmanship with modern design, inspires customers to spend time tailoring the character of their Lotus with a comprehensive array of options. Since its introduction this has proved increasingly popular, with 25% of all new cars undergoing some form of personalisation. 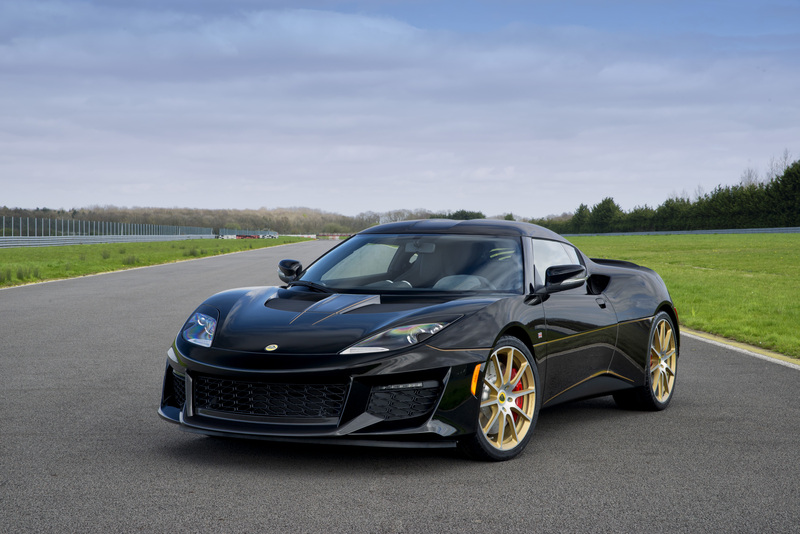 The Lotus Evora Sport 410 is limited to a global production run of 150 vehicles per year, and the Evora Sport 410 for the North American market is available to order now at a MSRP excluding taxes of $104,200. 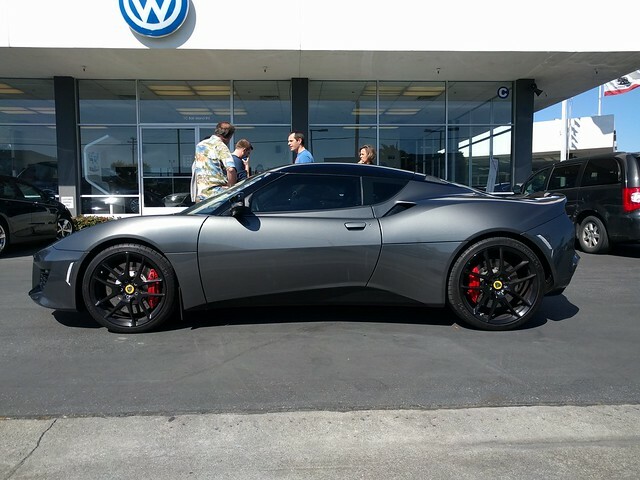 The MSRP of the Lotus Evora Sport 410 GP Edition is $110,000. Today is April fools day, but this isn’t a joke 🙂 I hope everybody has been working on their cars over the winter and are ready to start racing again! You can like us on Facebook and check out our event videos (you might see yourself) on our Youtube channel.